It’s time to roll out every possible Guns N’ Roses song reference, because a hot rumor is racing like a night train through paradise city. (Also, it’s November, so that one just writes itself.) According to Dish Nation, founding members Slash and Axl Rose have managed to come to an agreement to reunite the band for a world tour in 2016. This is all due to the reports of a “music insider,” but it’s gotten so much traction—not to mention that nobody from either camp has come out to refute the story thus far—that the longer it’s out there without correction, the more likely the whole thing seems. Everyone is expecting huge demand for tickets, but the boys are very humble and are not sure what to expect. And with that one reference to how humble Axl is, the world is alerted to the strong possibility that not only does this “music insider” not have the story right, but has never heard a single thing about Axl Rose, let alone met him. Possibly they’re unclear which band is even being discussed. 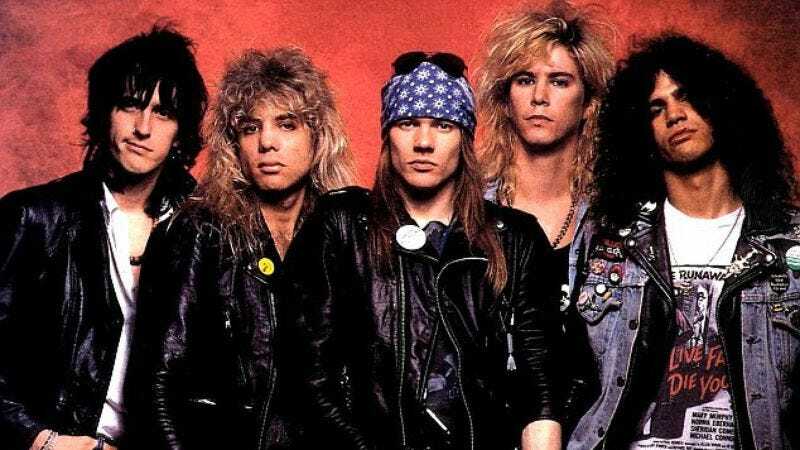 But no matter: The idea of a Guns N’ Roses with the original gang back together—and, more importantly, Buckethead nowhere near the stage—is too enticing a notion for the world to ignore.